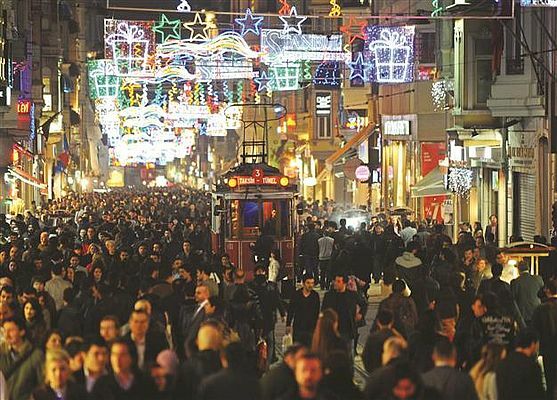 Energy efficiency is a stated priority for both its energy and climate change policies in Turkey. Being a founding member of the International Energy Agency, Turkey has considered energy efficiency an important long-term policy area. In the 1980s, Turkey started some energy efficiency activities that continue until today – mandatory data reporting and energy managers for large industry and large buildings, awareness creation, and institutional co-ordination, to name but a few. The current strategy covers all end-use sectors and the industrial sector is given high priority. The sector consumes 34% of total final consumption, following only the residential/commercial sector. Importantly, The manufacturing industry is one of the main drivers of Turkish economy, accounting for about 24% of total GDP. •	Reducing total environmental impact (including air quality). The current energy efficiency strategy was approved in 2012 and sets an overall energy intensity (the amount of energy consumed per unit of GDP) target reduction of at least 20% by 2023, using 2011 as the base year. For industry, there is a sub-target to reduce energy intensities in each industry sub sector at least 10% by 2023. 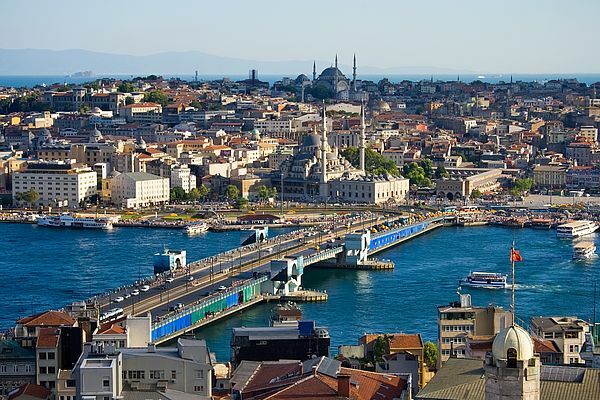 Turkey is planning to transpose the EU Energy Efficiency Directive, that includes some obligations for the industrial sector, and has already started to undertake some of the elements of that Directive (i.e. preparation of the National Energy Efficiency Action Plan). Turkey has also transposed the Ecodesign directive and the energy labelling directive, in large part to have access for its products to the large EU market. Energy efficiency activities in the industrial sector combine both government initiatives and multilateral/bilateral support. The full range of policy instruments is used. This includes financial incentives, energy audits, mandatory reporting of annual energy consumption for large industry, mandatory energy managers, certification of energy managers, licensing of energy audit companies and promotion of energy management. Bilateral and multilateral projects have made a strong contribution. The European Bank for Reconstruction and Development has some major sustainable energy funds available. One of the EBRD’s key aims is to support the development of micro, small and medium-sized enterprises (SMEs) which are crucial to nurturing a private sector economy. It has the Turkey Sustainable Energy Financing Facility (TurSEFF) as well as the Turkey Mid-size Sustainable Energy Financing Facility (MidSEFF). The World Bank has recently provided over US$200 for energy efficiency projects in SMEs. There are two important developments in Turkey that are gaining great interest. A UNDP/UNIDO project on industrial energy efficiency has, inter alia, two very interest element: it is working to help develop energy management units in Organised Industrial Zones and it is promoting energy management systems (essentially ISO 50001) through targeted training and information. Organized Industrial Zones (OIZ) are designed to allow companies to operate within an investor-friendly environment with ready-to-use infrastructure and social facilities. The existing infrastructure provided in the zones includes roads, water, natural gas, electricity, communications, waste treatment, and other services. There are about 150 that are active in Turkey. The Industrial energy efficiency project is working to set up energy management units in a select number of them. Six of the OIZs have now been trained and have measuring equipment provided through the UN project. They have also been given awareness materials to distribute. The idea is to have the companies within the OIZs rely more and more on the EMUs for information that is both technical and related to programs. On the programme side, it is important that the EMUs know, for example, all the financial mechanisms available in the country. In effect, they become one-stop-shops. These EMUs will help create awareness, can organise trainings, can encourage financial institutions to promote their services, and so on. In a new World Bank project, they will continue to build on the success of the OIZs. The second important development is how popular energy management systems (ISO 50001) have become. In 2016 it was estimated that around 100 out of 1,200 large energy-intensive industrial installations apply the standard. The UN project, in particular, has arranged for initial training for experts in companies and has also trained many local experts to become trainers themselves. They are also training some experts to be lead auditors to assess energy performance. ISO 50001 is gaining in popularity as companies realise the importance of an integrated company-wide approach. Early indications also show that the companies that are gaining their certification are also starting to invest in energy efficiency measures. Is there more to do? Undoubtedly, Turkey can strengthen its policies and programmes related to industry. Both large energy-intensive industries and SMEs need help and encouragement. It has made good strides forward and, to its credit, it has a strong legislative foundation from which to build upon.